Saying meaningful goodbye's and thank you's is something easy to overlook at the end of the reception. At the end of a night full of dancing and celebration at the Hotel ZaZa in Dallas, it's easy to miss an incredible opportunity when you rush out the door and straight to your awaiting vehicle. One of the details we think about is positioning your immediate family closest to the car, carriage or pedicab when you are leaving. 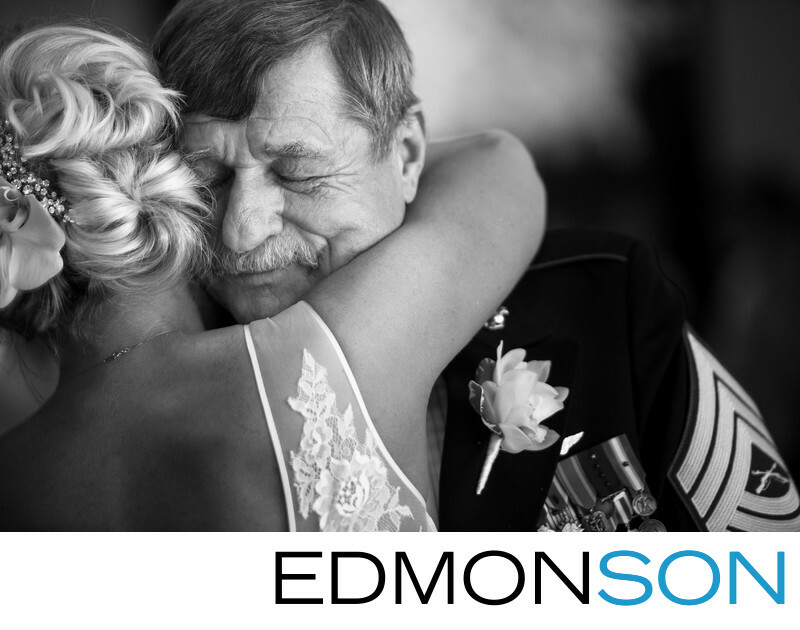 When creating your wedding album, these emotional farewells are the perfect closing to the end of your wedding story. Here a father holds his daughter tenderly, and you can see the emotion oozing forth on his face. Since we can't position ourselves in two places at one time, I've found that if I can capture only one vantage point, the one I find most interesting is the face of the person the bride or groom is embracing. It is because that photograph shows you something you wouldn't have seen otherwise on your wedding day. A picture of your face will recall how you felt then. The image of your loved one tells you the rest of your story. I encourage you to please consider taking the time to embrace and show your appreciation to your family on your wedding day. Gratitude and indness never go out of style. 1/60; f/3.5; ISO 1600; 200.0 mm.